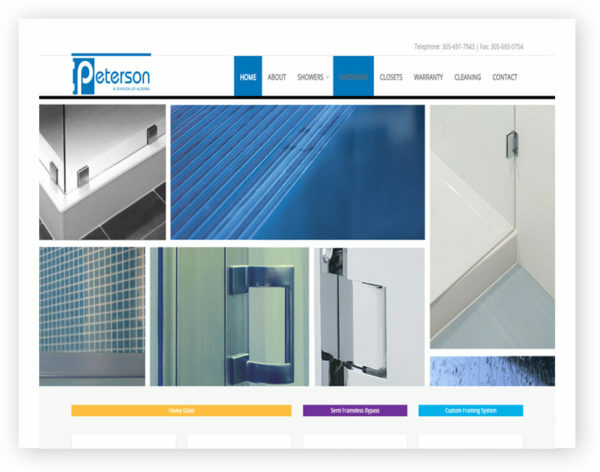 Since 1977, Peterson, a Division of Aldora*, has been manufacturing superior shower enclosures throughout the southeast and mid-Atlantic. Peterson has developed a stellar reputation for customer service, quality products and great value. Over the years, Peterson has established a wide variety of products to meet a diverse range of needs and budgets with a high regard for quality and durability. The aluminum finishes are all designed to withstand the rigors of everyday use without fading or peeling while hardware such as hinges, pivots or rollers offer smooth, reliable performance.